Detailing the physical features, habits, territorial reach and other identifying qualities of the Northern Walkingstick. 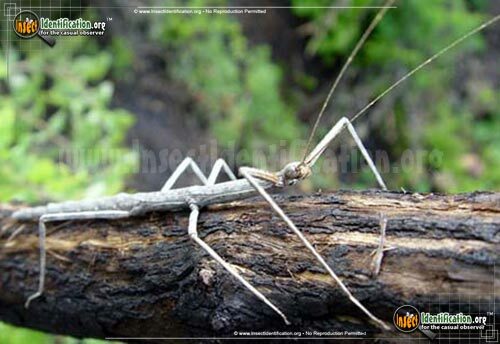 The fragile and gentle Northern Walkingstick is a harmless insect that is more often overlooked than discovered. 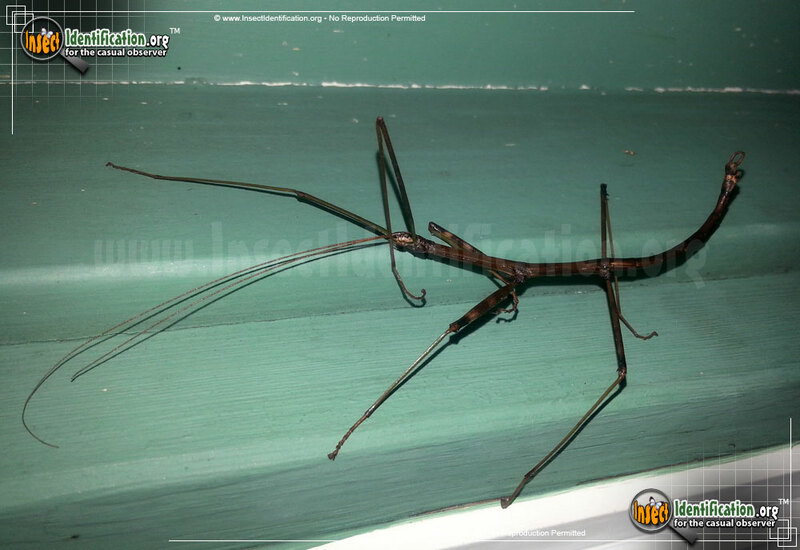 Northern Walkingsticks are a child's favorite type of bug. They are large and utterly unique in their chameleon-like physiology. The Northern Walkingstick resembles a small woody branch, an ideal disguise for avoiding predators hunting in the woods. Northern Walkingsticks differ in size between the sexes. Males are usually smaller than females. Males usually have a more brown color whereas the female may appear to be a more greenish brown. Antennae are common on both sexes and are about two-thirds the size of the overall body. Northern Walkingstick females lay their eggs, one at a time, on the ground before winter. There, young nymphs will hatch and climb up nearby vegetation to feed. This species is cannot fly and moves very slowly, making it a great insect to use for introducing children to the world of bugs. The body and legs can be fragile, so they require a calm, gentle handler that will not drop them. Walkingsticks are vegetarians, feeding on the deciduous foliage of local trees and shrubs.